Benalmadena Costa del Sol Benalmadena Bowls Club, recently inaugurated, shares its facilities with the Costa del Sol Bowls Club. Benalmadena Bowls Club Ctra Arroyo de la Miel. Benalmadena Pueblo s/n Malaga Spain. Eight rink size green. Club days are Tuesday, Thursday and Sunday. Visiting bowls clubs and individuals. 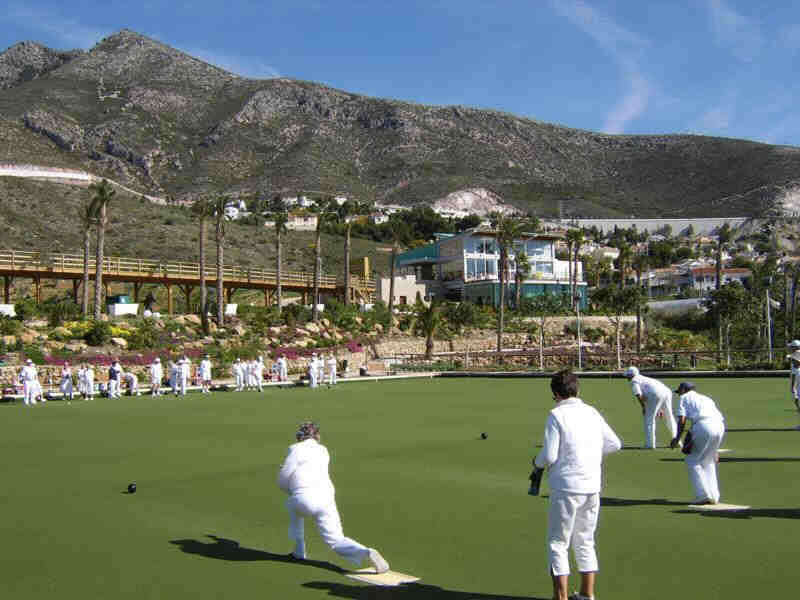 Benalmadena Bowls, recently inaugurated, shares its facilities with the Costa del Sol Bowls Club. Benalmadena Local Holiday Apartments and Villas on The Costa Del Sol Spain. Benalmadena Eight rink size green. Apart from the bowling green, the complex consists of a nine hole golf course, putting green and driving range.